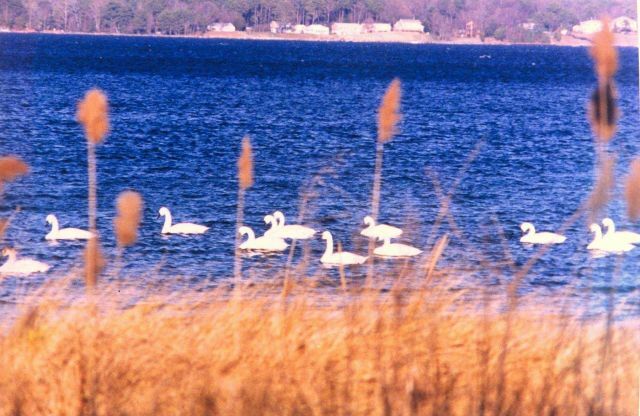 Tundra swans near the mouth of the Patuxent River. These swans can be distinguished from mute swans by their black bills. Tundra swans are native to the Chesapeake Bay region.